Who doesn’t love a good themed restaurant? Exactly. Everyone likes pairing their dining experience with a bit of fantasy, or even a dollop of role-play, thrown in. From the ‘maid cafés’ of Tokyo, where you might get a smack in the face, to sports bars, Irish pubs and, er, Sichuan Hotpot venues, where every bite brings a new delight. But has a new restaurant in Tianjin, north China, gone a little too far with the idea of a ‘captive market’? Restaurant “789” invites customers to experience all the, ahem, trappings of a prison, down to iron bars, ‘warders’ for waiters and food passed through a hatch! Shackles, handcuffs and cells form the backdrop to a rather unique dining experience, where not only do you not want to leave, but you might not be allowed to. The owner responded to CCTV (China state television) that he chose the theme because “sometimes society feels like a jail cell,” apparently oblivious to his own, very real, danger of incarceration. But here’s the point: should we be treating something as serious, punitive and open to abuses as a jail lightly, especially in Mainland China, with its problematic relationship with human rights? 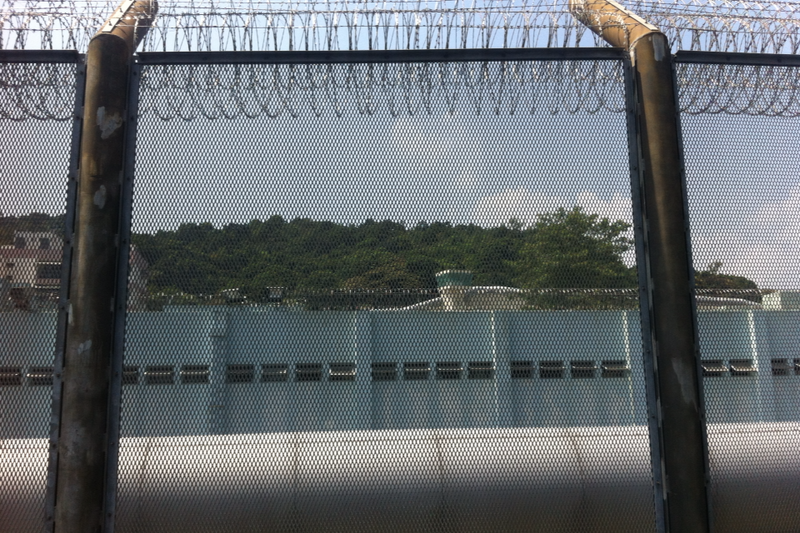 On the other side of the (outer) fence is the very real danger that prison workers find themselves in every day: at the beginning of September a guard was killed during a prison escape in Heilongjiang Province (even-further-north China). Is this, then, a theme too far? This writer has slept in a British jail cell (themed hotel, I hasten to add!) and dined in a military-themed restaurant in China (complete with land mines beneath glass floor panels! ), both of which seemed to be in reasonably decent taste (unlike, perhaps, Indonesia’s infamous ‘Nazi cafe’, which reopened in June this year – has anybody been there?). Are there some themes that shouldn’t be touched on? Comments below! Even though many things may be in poor taste, especially a Nazi themed restaurant, we live in an age of “anything goes”. I try to believe we do not, but the media and other public forums convince me otherwise. I guess if someone wants to eat in a jail cell I would say- a chacon son gout. I guess what makes these things intriguing to the patrons is knowing they are not “real”. Unlike real prisoners, military, concentration camp victims, etc…the patrons are able to leave when they wish. Therein lies some of the appeal, the dance with danger, yet with a safety cord. None of these themed places would appeal to me, I am just too French and enjoy being waited on and pampered, but it am able to see the allure for others to indulge in a bit of role play, so to speak, in a contained environment. I guess my furthest venture into anything other than ordinary dining out would be “HotPot ” restaurants; there were some wonderful ones in HK, not so much here outside of Boston. But that is not even close to dining in a prison, or over a land mine. But if there is a market, it will be found somewhere. I also like to be pampered! Sleeping in a jail cell theme hotel was a blast, but I’m certain it was pretty far away from the actual historical conditions. Keep an eye out for any more crazy themes to report on. This entry was posted on September 15, 2014 by theguestroom in NewChinaHand and tagged Asia, beautiful, Best, charity, China, giving, Health, HK, Holiday, homeless, Hong Kong, Lion Rock News, new china hand, number 1, number one, Top, volunteer.